Ginseng has traditionally been used for a number of medical conditions. 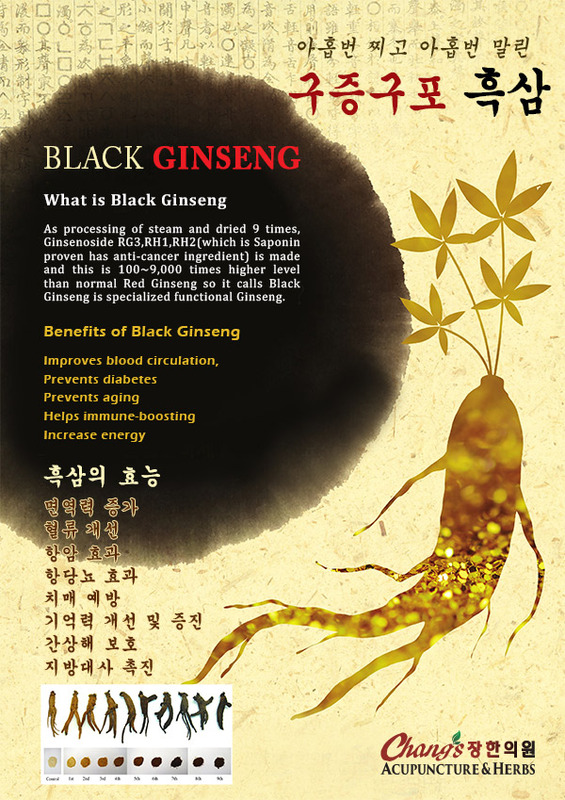 Black ginseng increase energy, counter the effects of stress, and enhance intellectual and physical performance. It also lower blood sugar, and the polysaccharides (complex sugar molecules), which support immune function. Chang’s Acupuncture & Herbs provide Custom made Black Ginseng to our patient. © 2019 Chang's Acupuncture & Herbs. All Rights Reserved. Designed by Web Design Sale.